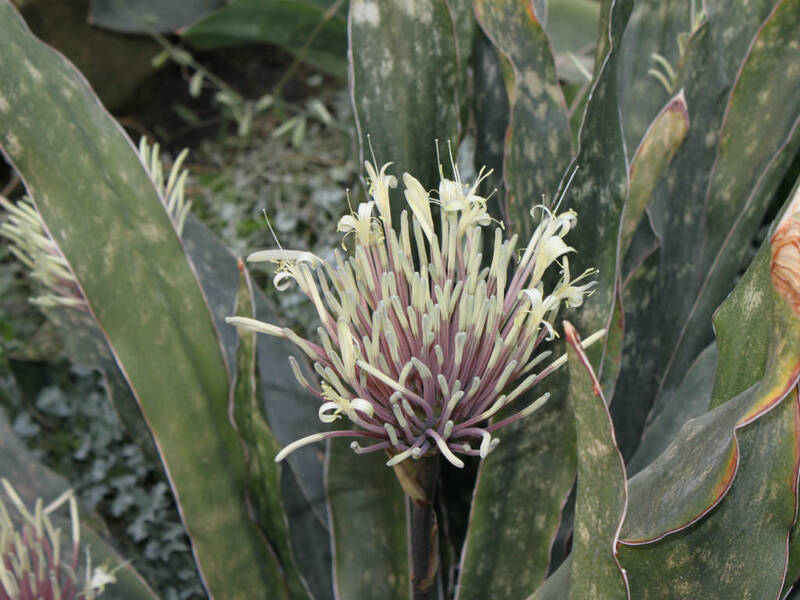 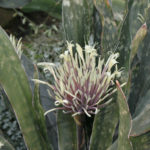 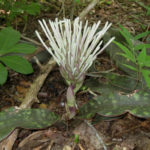 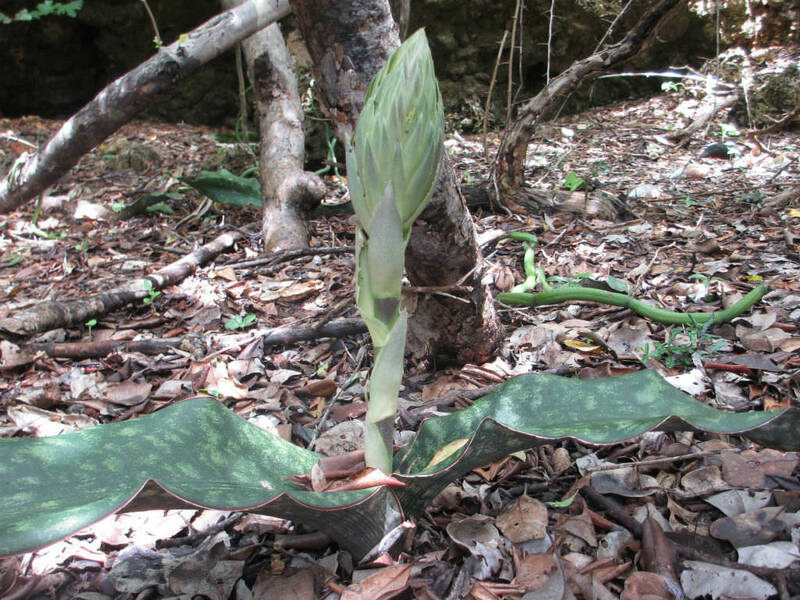 Sansevieria kirkii is an unusual species with creeping underground stems. 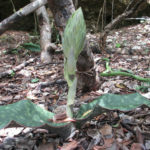 The leaves are up to 6 feet (1.8 m) long, up to 3.6 inches (9 cm) wide, with a brown undulating edge and much mottled on both sides. 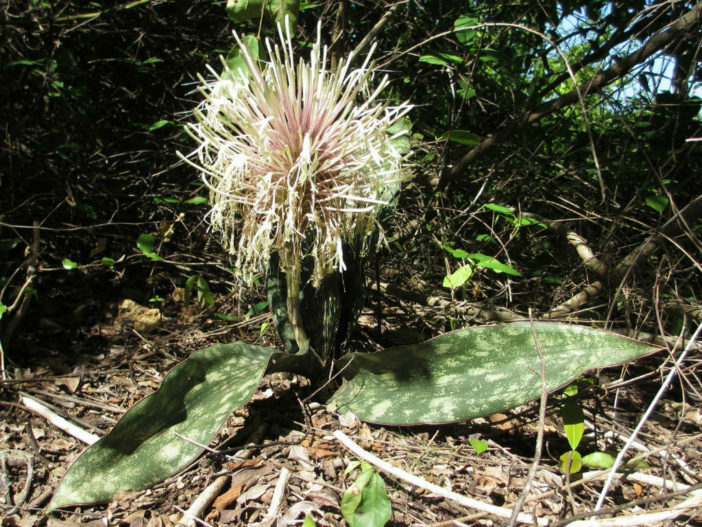 The flower is greenish-white, scented, and has a conical inflorescence. 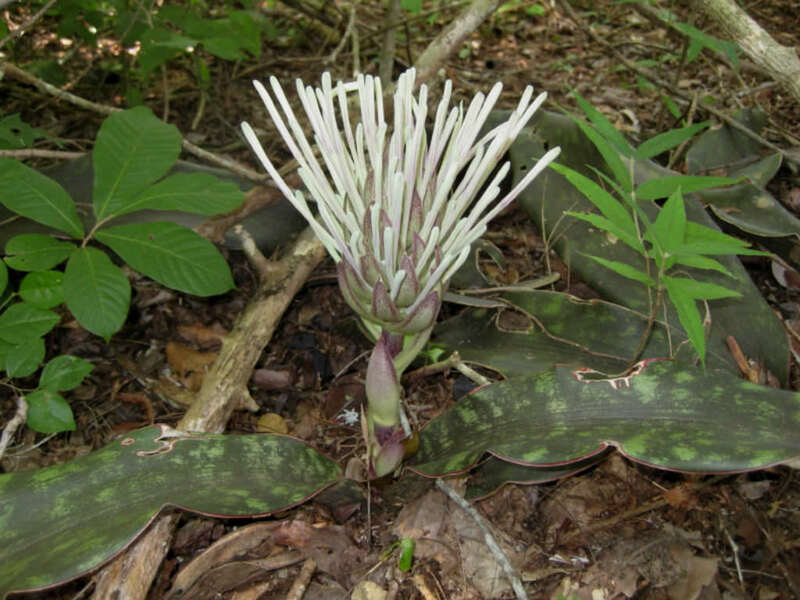 It is native to Tanzania and the surrounding region in east Africa.